How can I remove a vendor? To remove a vendor, go to the Vendor page from the left side menu. 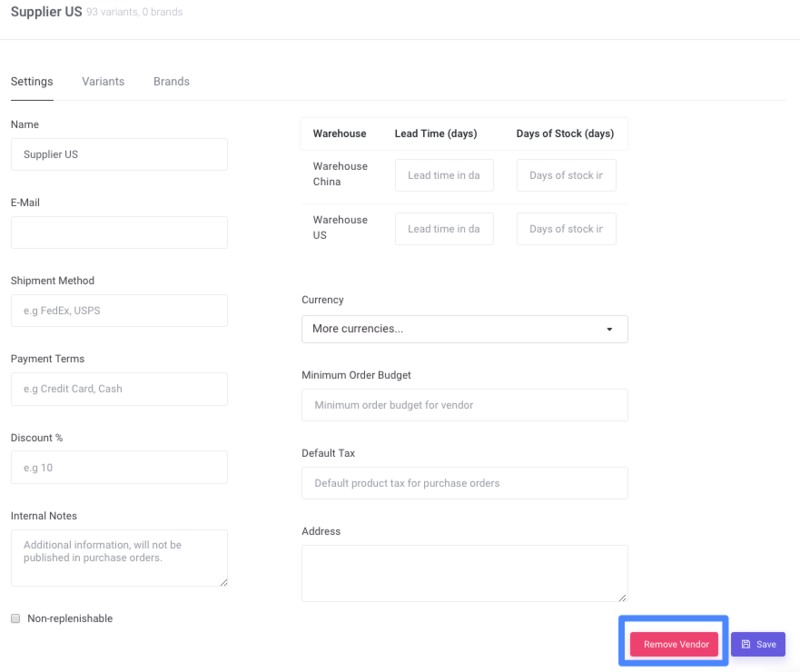 Select a vendor, then click Remove Vendor at the bottom of the page. 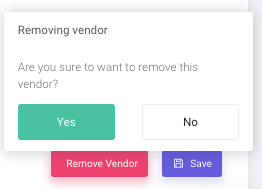 Then confirm that you would like to remove the vendor by clicking Yes.